Below are the list of my online stores. Shop in the comfort of your own home. You can search for the items you need whether it is apparel, accessories, beauty products, home and garden, gourmet food, health and personal care, electronics, toys and games, shoes and I also have championship rings for the sports enthusiasts and my newly published site for beauty buffs out there. My newest online store. It has all the products you need. From electronics, gadgets, beauty, health, clothing, accessories, kitchen appliances and the list goes on. Everyday there are new products released so feel free to browse and shop in the comfort of your own home. A newly launch beauty shop, where we offer a wide range of beauty bar soaps for different kinds of skin types. 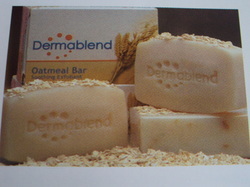 You can now order soaps that are listed here in our Product Catalog. If you want to order any of our products, just fill up completely our Order Form. If you have any questions, inquiries and recommendations, feel free to send it to our Contact Form.